Posted August 31st, 2017 by Lillian Price & filed under Dental. Posted August 28th, 2017 by Lillian Price & filed under Dentist. Posted August 4th, 2017 by Lillian Price & filed under Dentist. 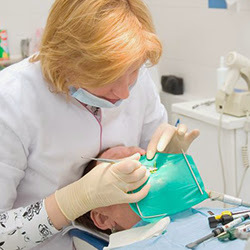 A damaged or decayed tooth can sometimes be saved by an endodontist. Teeth that have been broken or cracked in accidents or that have decay down in the root may be saved instead of extracted. Here are some of the signs that you need endodontic care. Posted August 3rd, 2017 by Lillian Price & filed under Dentistry. When a person’s smile is not complete, they can feel ashamed of their appearance. No one wants to smile when they are missing teeth, especially if they have teeth missing in the front. Thankfully, dentists can replace missing teeth with Dental Implants in Branford CT.